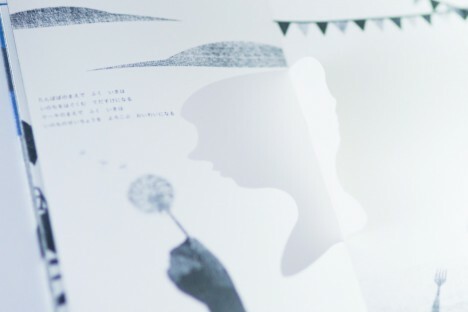 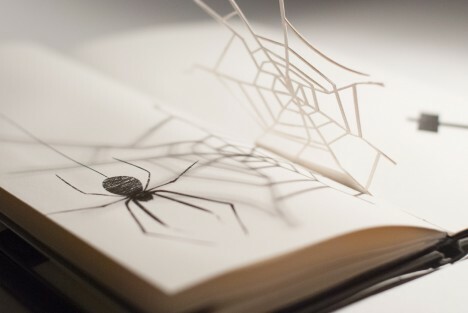 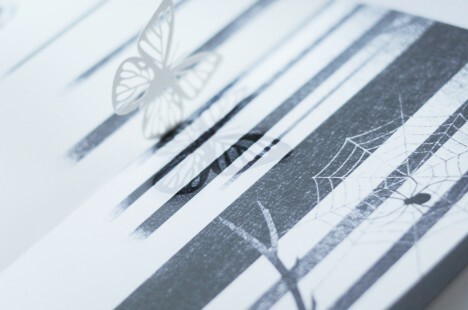 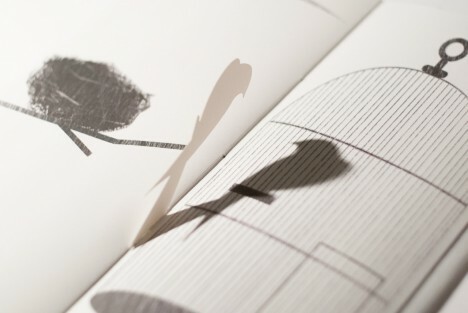 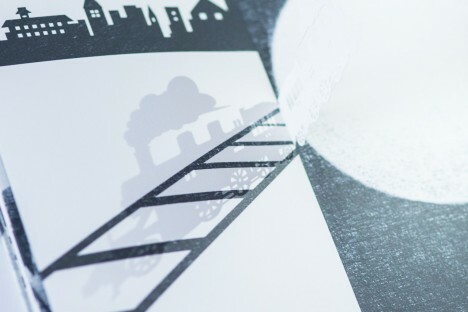 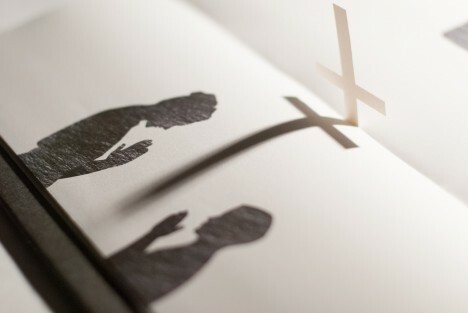 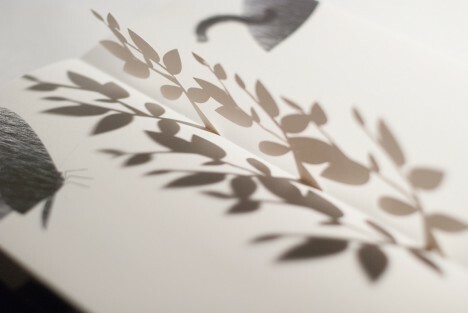 A children’s book with an interactive twist, Motion Silhouette engages readers through pop-up pieces that require lighting to animate shadow pictures on each page. 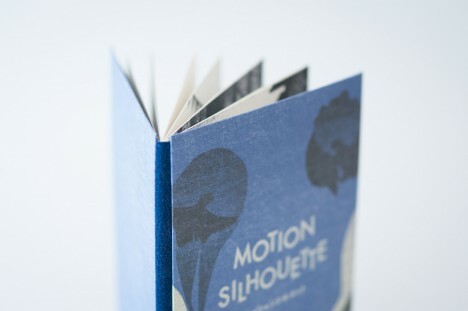 The idea is to add elements of manual animation that are necessarily subjective – each person will hold, turn and highlight the cutouts in different ways. 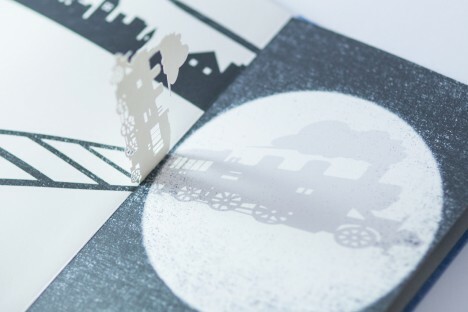 Secondary readers or viewers (young kids watching over parents’ shoulders) will also have their own unique experience each time. 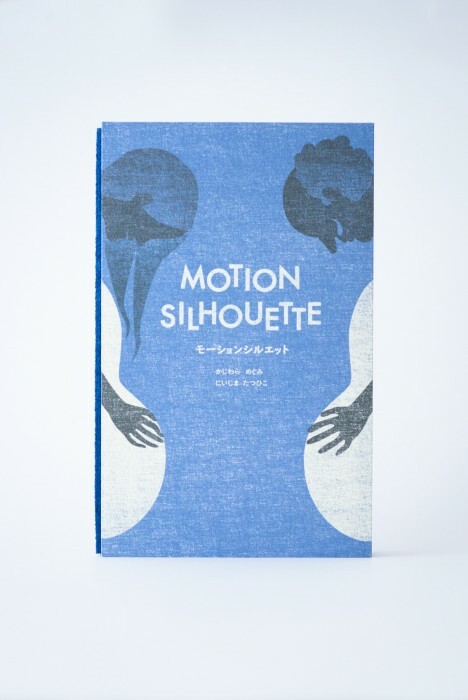 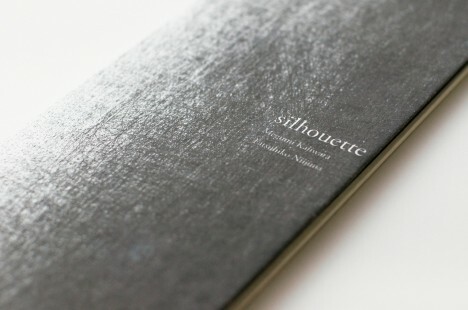 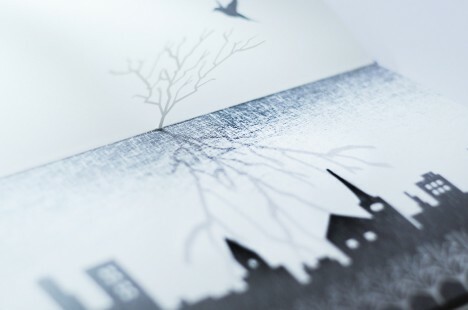 Motion Silhouette is actually a sequel to another book, simply titled Silhouette (excerpts shown above), a work which similarly uses slightly less-developed pop-up pages to create a more basic multi-dimensional experience.